Welcome the morning with a cup of tea, and the rest of the day will welcome you. Greetings, dear reader. I know I’ve been gone long, but I’m back with some brilliant plans for this blog and my tea life! As I mentioned in my last post, I was busy with examinations, and one thing that really carried me through those days was tea. 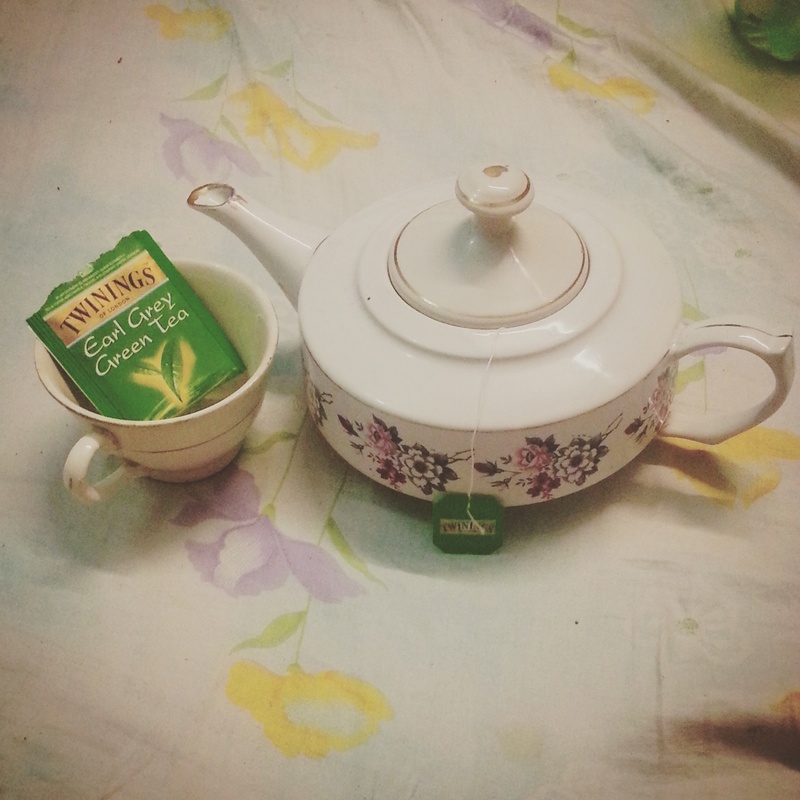 Although I am an avid tea drinker, I wanted to get into the habit of having green tea every morning. Not only is it very beneficial for health, it is quite refreshing too! Now I do have quite a variety of green tea, and I like to switch things around every morning. One of my favourites is the Earl Grey Green Tea from Twinings of London. It is a very smooth and lightly flavoured tea and since regular Earl Grey is one of my favourites too, I really enjoy this tea. Every time I have exams, my entire sleep cycle is reversed and I end up staying up all night to study, and then going to give my exam and coming back and sleeping during the day. As you must know, if you don’t want to fall flat on your face while writing your paper, you need some caffeine to keep you awake after staying up all night. Though most people, and even I, would reach for coffee at such a time, I decided instead to turn to tea. It’s healthier, has less caffeine, and for me personally is more refreshing. So I had some almost every morning before leaving home. In fact, I liked it so much that I ended up continuing the habit even after exams.